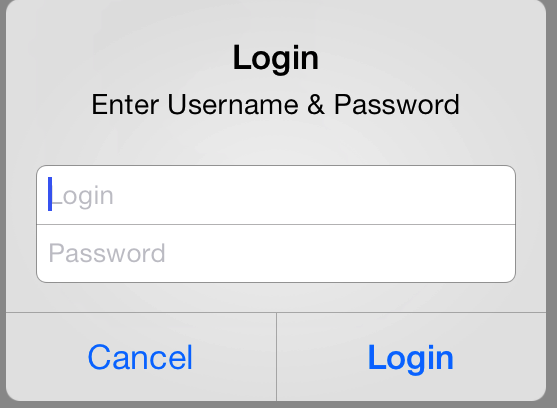 In UIAlertView Example, I have explained how to show alert dialogs in iOS. Below are the examples covered in the article. We can create a simple alert using UIAlertView class. UIAlertView * alert =[[UIAlertView alloc ] initWithTitle:@"OK Dailog"
Above code produces the output as shown in the below image. To handle the button events, we need to add UIAlertViewDelegate protocol to your controller. Note: Cancel Button has the buttonIndex value “0”. 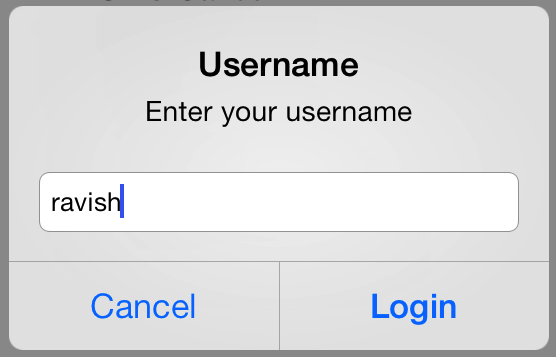 We can take input from user using UIAlertView by changing the style. UIAlertview has the following styles. User entered input values are read using textFieldAtIndex method. 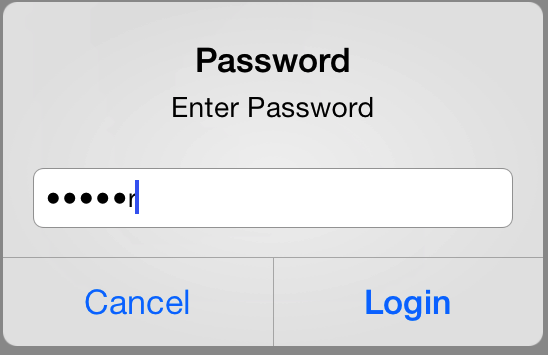 3.2 UIAlertView with Password input field. Delegate method for handling button events. If View controller has multiple dialogs, then we can differentiate them using tag property in UIAlertViewDelegate protocol method. For that, you need set tag property value. You can filter the dialogs in delegate method using tag property. else  if (alertView.tag == 3456) //Second Dialog.